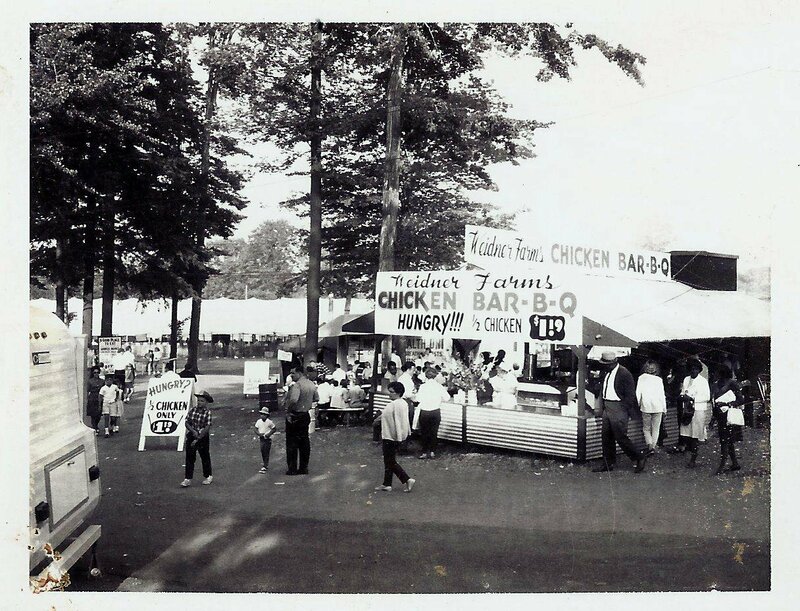 In 1956, Bert Weidner and his two brothers set up a small stand at the Erie County Fair and began serving BBQ Chicken. They slow cooked fresh chicken over an open flame all the while basting it with their own special recipe BBQ sauce until it was cooked to perfection- tender and juicy on the inside, crispy and golden brown on the outside. Three generations later, we are cooking it the exact same way and using the sauce as Bert and his brothers did over 60 years ago. 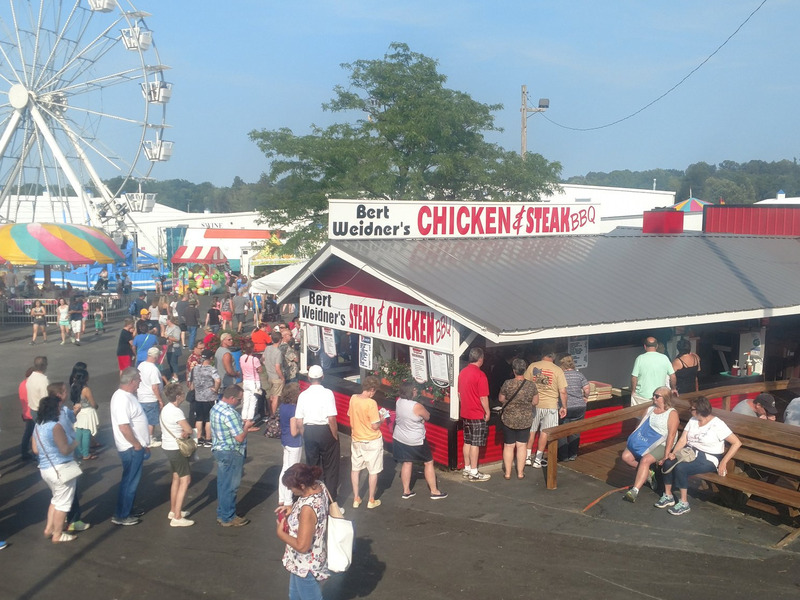 Today we are still at the Erie County Fair, but now you can find us at the Chautauqua County Fair, the Eden Corn Festival, and hundreds of fundraisers, events and private parties all over Western NY. 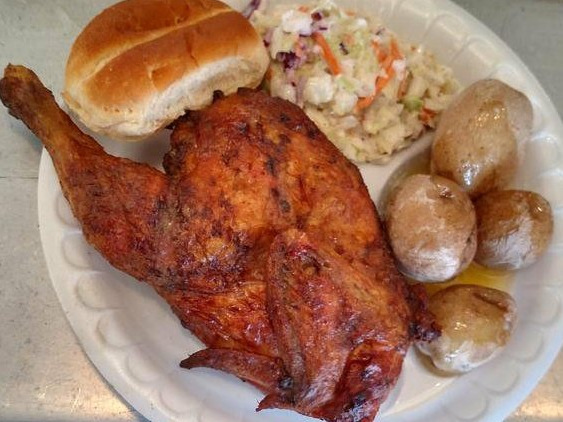 Now, not only can you order our signature chicken, but you can also try our wood smoked pork and ribs, tender roast beef or any of our delicious homemade sides. If you are planning a party or event, give us a call! We will take care of all the food, so you can relax and enjoy yourself. You and your guests will be happy you did! Contact us today at 716-992-4362. Tent and table rentals are also available. Weidner BBQ makes serving your party guests easy—we set up quickly and efficiently, and we clean up after ourselves. 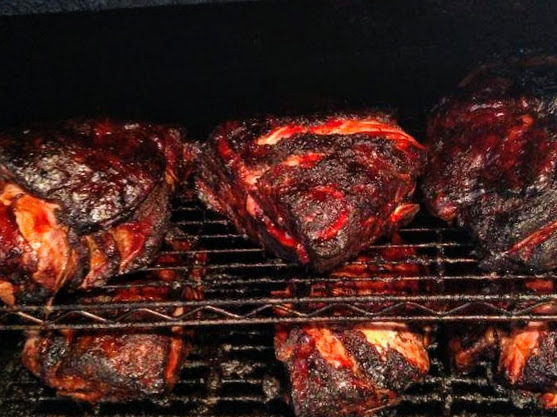 Get in touch with us today to schedule BBQ catering for your upcoming event. And don’t forget about the sauce. Our BBQ sauce and marinade is tangy with a hint of spice. It’s the perfect addition to a big platter of homemade BBQ at your upcoming party or event. We’ve been at work perfecting our menu for over 60 years, so you know the food will be good. Contact Weidner BBQ now for details about our catering services.